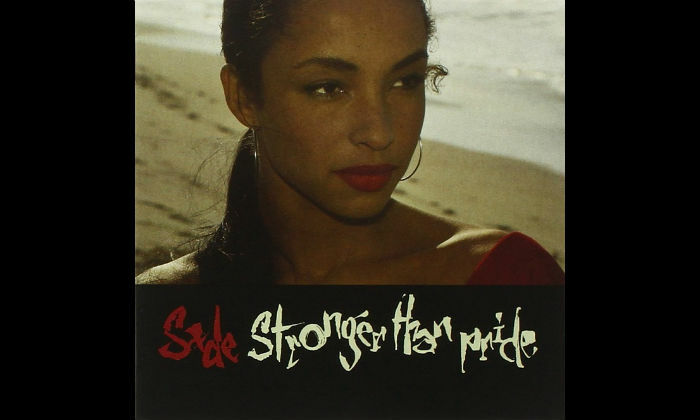 This week we acknowledge 31 years since the release of Grammy-winning soul band Sade's hugely underrated third studio album Stronger Than Pride on Epic Records. While it wasn't as well received as their first two records, it was still deserving of its multi-Platinum status and remains one of the greatest funk-soul records of the decade. The London-based group - named mononymously after their lead singer Sade Adu - have sold more than 75 million records globally, and are widely considered one of the most influential artists in soul and contemporary R&B in the UK in the 80s. Their last album release was 2010's Soldier of Love. Stronger Than Pride reached number three in the UK charts upon its release in 1988 and went on to earn the band two Soul Train Music Award nominations - but little other recognition. It certainly failed to match the success of their critically acclaimed number one Promise, which was released three years earlier, but still remains a staple album of its era. Studio time was split between France and the Bahamas, with the band working alongside producers Mike Pela (Maxwell, Savage Garden) and Ben Rogan. The record featured the singles Love Is Stronger Than Pride, Paradise, Nothing Can Come Between Us and Turn My Back on You, as well as the UK only track Haunt Me, with Paradise becoming Sade's most successful track on the US R&B chart, peaking at number one. Sade hadn't released any new music for seven years until last year when they dropped The Big Unknown from the Widows soundtrack, as well as Flower of the Universe for the Disney movie A Wrinkle In Time. Their last world tour was Sade Live in 2011, but band member Stuart Matthewman revealed last year that they were currently working on their seventh studio album.